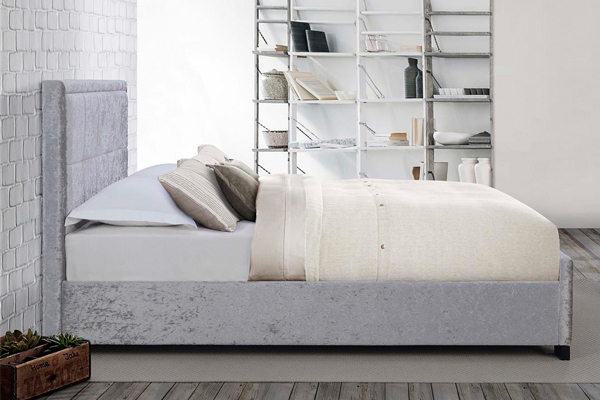 Combining stylish design and a fabric finish our Hannover fabric bed frame will be a fabulous addition to any bedroom. 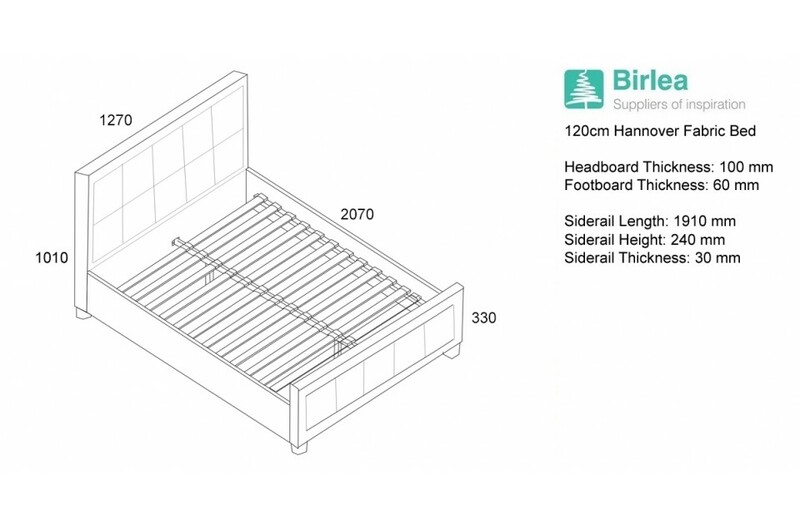 The Hannover fabric bed features a cushioned headboard and has a sprung slatted base for natural bounce, the frame adjusts to where pressure is exerted most, providing greater comfort. 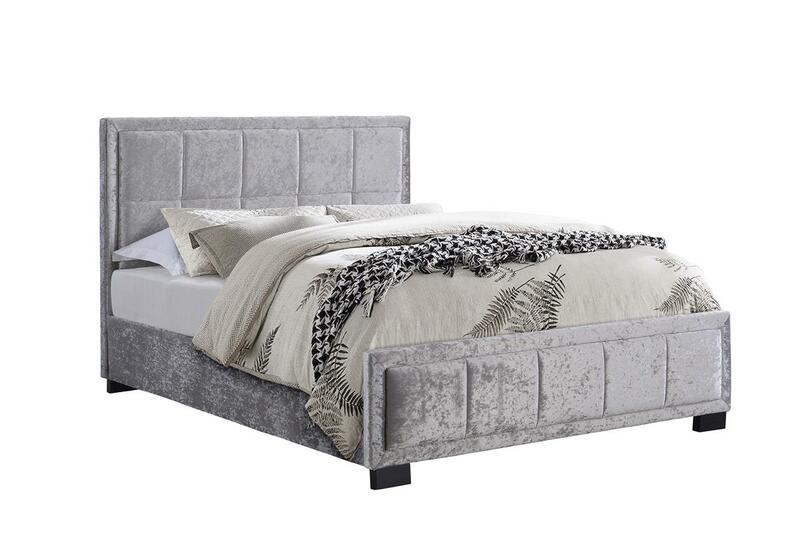 Available in a steel , black velour or a grey fabric this bed will look stunning in a traditional or contemporary style of bedroom décor. The maximum weight load for the Hannover frame is 200 kg. Please note Birlea beds are only suitable for a UK standard size mattress and the recommended maximum mattress height is 250 mm.